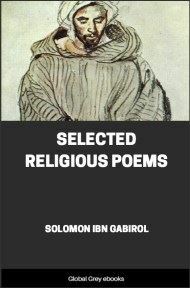 Solomon ibn Gabirol, also known as Avicebron, was a Spanish-Jewish poet and philosopher of the eleventh century. 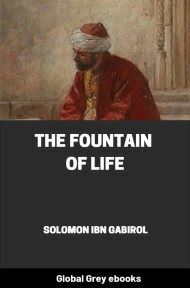 This is a translation of a key extract from his major philosophical work, the Fons Vitae, or Fountain of Life. In this text, Gabirol uses a Socratic dialog as a framework to discuss his theory of the 'First Cause.' Written in Arabic, the Fons was translated into Latin in the 12th century. The work was attributed to 'Avicebron,' who was not identified as Jewish but as Christian or possibly Muslim. One reason is that Gabirol does not reference the Tanakh or Talmud, as would be normal for a Jewish intellectual from this time and place. In addition, his neo-Platonic views seem to place him in a more Christian intellectual current. However, in 1846, a scholar named Solomon Munk announced that he had discovered that Avicebron was the same person as Gabirol. Pupil: What is the problem that we are now to discuss in this book? Master: Since it is our intention to find the matter and the form in simple substances, and since you question the existence of simple substances, we must first consider—and that is the purpose of this book—the proof of the existence of simple substances. 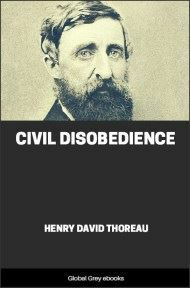 We shall seek assured certainty in this regard to the point of establishing their existence by necessary proofs. Next we shall proceed to an examination of the science of matter and form in simple substances. Let us begin then by producing the proofs that establish the existence of a substance intermediary between the First Author, sublime and holy, and the substance that supports the nine categories. 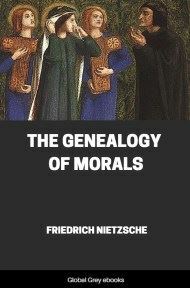 In this connection we shall postulate the following fundamental principle: If the origin of beings is the First Author, who is not caused, and the end of beings is the final effect, that itself has no effect, then the beginning of things is essentially and actually different from their end. For if the beginning of things is not distinct from their end, then the beginning is the end, and the end is the beginning. Pupil: What is the nature of the distinction between the First Author, sublime and holy, and the final effect? Master: By the distinction between them, we understand the removal of resemblance and similitude; and with the removal of resemblance and similitude, union or harmony is removed, for there is harmony only through resemblance. 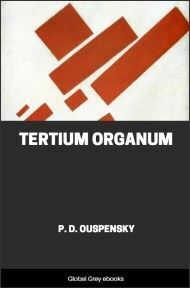 Pupil: How can it be asserted with truth that between the First Author and the substance that supports the nine categories there exist intermediary substances that are nearer to the First Author than this substance, while all things are distinct from him and none of them is more worthy of being near him than another? Master: Why do you not set intermediary substances uninterruptedly after the First Author, holy and sublime, just as you placed the substance that supports the nine categories uninterruptedly after him; particularly when these substances are simple and spiritual? Pupil: Proof of the existence of simple substances is very difficult. Demonstrate therefore the proofs that establish the existence of a substance intermediary between the First Author and the final effect. Master: I shall expound for you various proofs of the existence of intermediary substances, each of which will prove the existence of simple substances. But I do not guarantee to demonstrate them in an order, because that would be of little value; and also you are to make an effort to arrange and join them properly one with the other. Remember then every term of their premises and observe the arrangements of terms in accordance with the rules of logic: then you will realize the truth of the conclusions that follow from these premises. The First Author is the origin of all things. And the origin of things is different from their end. And the substance that supports the nine categories is the end of things. Therefore the First Author is different from the substance that supports the nine categories. I shall now take this conclusion as a premise and I assert: The First Author differs from the substance that supports the nine categories. Now all different things have an intermediary. Therefore there is an intermediary between the First Author and the substance that supports the nine categories. Pupil: What proof is there that there is an intermediary between all different things? Master: If there were, between different things, no intermediary except themselves, they would then be a single thing and would not be different. 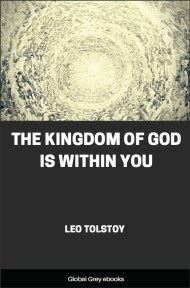 Pupil: Although the First Author is different from the substance that supports the nine categories, it is however not necessary that there should be an intermediary between them, for the soul is different from the body without an intermediary between them. Master: But for the spirit that is intermediary between the soul and the body, they would not be united together. If then the First Author were different from the substance that supports the nine categories without any intermediary between them, they could not be united: and if they did not unite, the substance would not exist for a single instant. Every substance is simple or compound. But everything simple is anterior to the compound because the simple is the cause of the compound. Now the substance that supports the nine categories is compound. Hence the simple substance is anterior to it. Every compound is composed of its simple elements. But everything composed of its simple elements is posterior to the simple elements of which it is composed. Now the substance that supports the nine categories is composed of its simple elements. Hence this substance must be posterior to the simple elements of which it is composed. The First Author is the true unity in whom there is no multiplicity; and the substance that supports the nine categories is the utmost multiplicity after which there is no greater multiplicity than itself. Now every compound multitude can be reduced to one. It is therefore necessary that there should be intermediaries between the true unity and the compound multitude.